Meanwhile, Justin Hitchcock, a college lecturer on history and architecture, begins to run into a mysterious, beautiful, and intriguing woman everywhere he goes (Joyce!). In the midst of battling his own ghosts and personal problems, Justin begins a wild-goose chase to hunt down this mysterious woman, which only adds to the already-present chaos that consumes his life. When Joyce and Justin are finally brought together, they realize that their meeting is not just a coincidence, but fate. Ahern slightly bends the rules in the literature genre by always managing to add a slight, tasteful fantasy twist to her novels. Thanks for the Memories is quite exciting, but falls just a little flat, lacking mystery in an otherwise predictable plot. The novel is mostly just a series of predictable "coincidental" meetings between Justin and Joyce, with some weak comic relief spread throughout. Once you catch on to how the plot surrounds a series of coincidences, the novel quickly loses its charm. As Joyce runs from one place to the next, we already know she's going to run into Justin somewhere along the line. Additionally, Joyce's adventures are supplemented with quirky remarks from her nearly senile, 70-something, single father, who accompanies Joyce throughout the novel during Joyce's "healing" period. 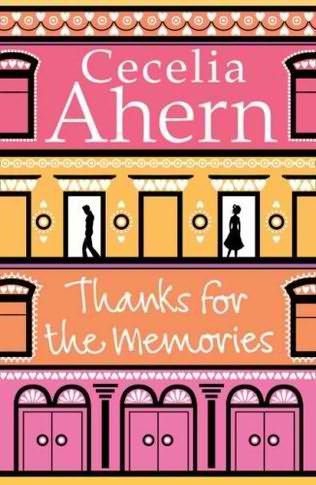 Thanks for the Memories is by far my least favorite novel by Cecelia Ahern. Even if you're a fan of Ahern, I would recommend skipping this one. If you've never read Cecelia Ahern's previous novels, I highly recommend reading P.S. I Love You, which is one of the most touching, beautiful novels I've ever read! Other good novels she's written are Love, Rosie, If You Could See Me Now, and There's No Place Like Here. Click on any of the images below to review them in more detail on Amazon.com. 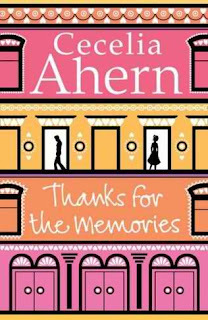 Did you read Thanks for the Memories, and if so, what did you think? What are your favorite novels by Cecelia Ahern? Share your thoughts with us in the comments section below. Most of Cecelia Ahern's books make me cry, especially P.S. I Love You which is sad and beautiful at the same time. The movie was good too. This was a really good book review, by the way, much better then a lot of other "reviews" I read that just include the summary about the book!!! !